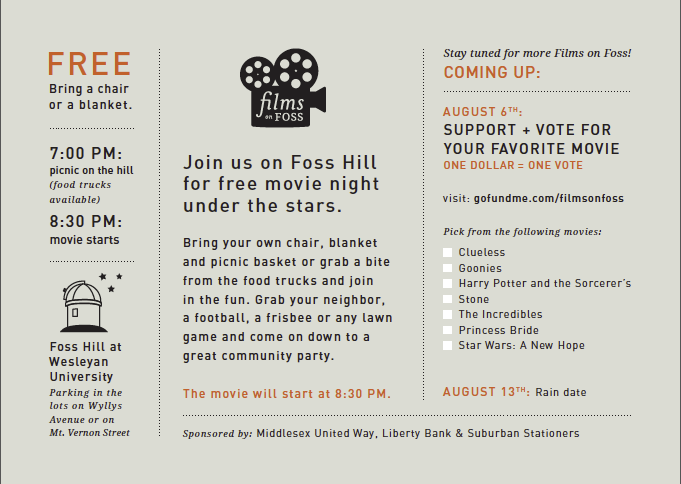 Join us on Foss Hill for the second summer of Films on Foss! Bring a blanket and picnic, or grab dinner from a food truck and enjoy this movie series under the stars. On June 25th, we will show Pitch Perfect. 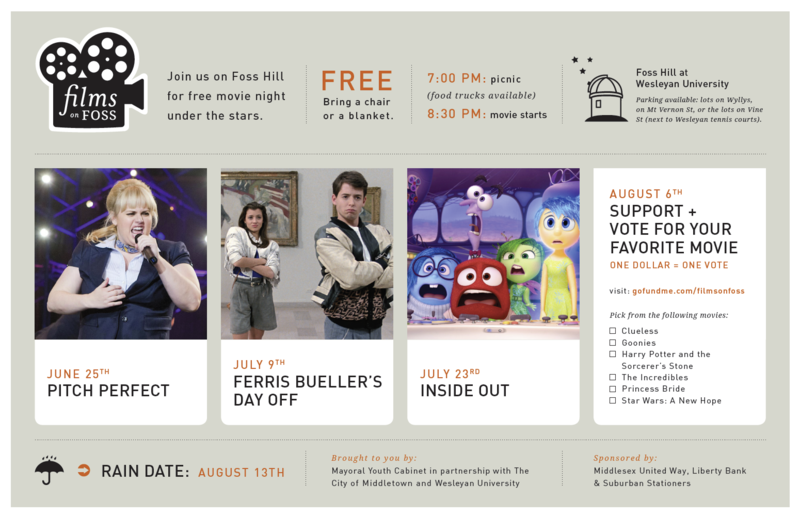 On July 9th, you can enjoy Ferris Bueller’s Day Off, and on July 23rd we’ll be watching Inside Out. The last movie night, August 6th, is a mystery! You can vote for your favorite movie to be shown that night by donating 1$ per vote online on the Films on Foss GoFundMe page. Each night, the picnic will start at 7 and the movie will start at 8:30.